The Mobile Suit Gundam series is a franchise that has defined not only a viewing genre of its own, but also the tastes of many young anime fans in both eastern and western regions of the world. The concept alone has sold itself over the many years of production: Giant robots fighting in wars. In Space. 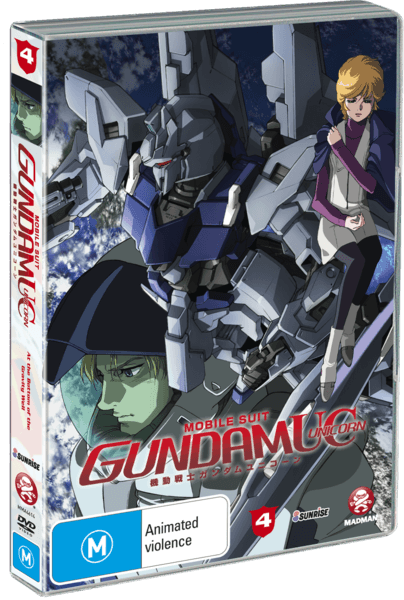 The latest of these series localised and adapted to the western viewership is Gundam Unicorn, a series that returns viewers to the original continuity of the Gundam franchise. About a year ago, we reviewed the first volume of the series on this website. Despite a few minor misgivings, the first volume as a whole felt like a solid introduction to the brand new series. 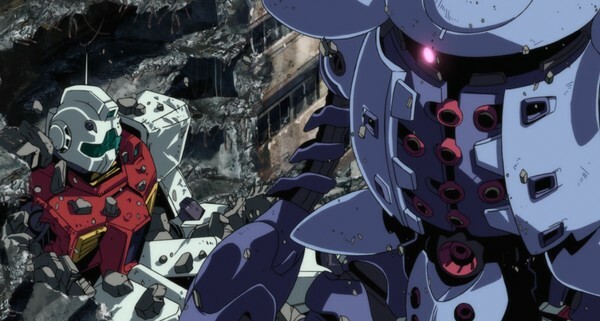 Although Gundam Unicorn as a whole has been receiving praise from both western and eastern viewers, the major concern commonly voiced about this series is the painstakingly slow release schedule. Each of the hour long episodes have generally been released six months apart from one another in Japan. Does that mean the series is bad? Not necessarily, but at the same time, can the content justify the stagnant release dates? Like the previous volumes of the series, the fourth volume of Gundam UC is set in the Universal Century era, the same timeline from the original Gundam series. 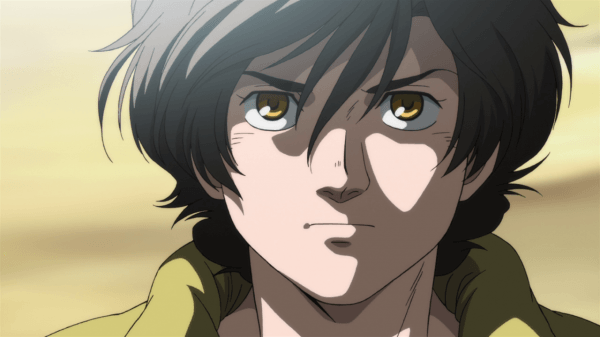 The series protagonist Banagher Links has found himself embroiled in the latest of many conflicts to break out within this continuity. After suffering numerous defeats at the hands of the Earth Federation, the space faring principality of Zeon has gone into hiding. When a rumour surfaces about a mysterious artefact called ‘Laplace’s Box’ surfaces, the Zeon remnants known as “The Sleeves” enact a plan to capture it, and harness its secrets to avenge their losses in wars past. As it turns out, Banagher’s late father was responsible for the development of the Unicorn Gundam, which serves as the “key” to Laplace’s Box. After being captured by the Sleeves, Banagher is given a firsthand look at the lives of people who have traditionally been considered “the enemy” by the older series, and much of the current series up until this point. He spends time among the people and discovers that the people of Zeon are not all members of the terrorist or radicalist groups that the Federation described. Following the trail to find Laplace’s Box takes Banagher and the Sleeves to Earth, where he sees that both sides of the conflict have been equally capable of various horrors in war. He even befriends a few Sleeves members who share his attitudes on the current conflict. As a large scale conflict breaks out in the Federation Capital at Dakar between the Earth and Sleeves forces, Banagher finds himself torn between the two groups. However, when the Sleeves deploy a massive destructive mobile armor, piloted by a not-so-sane Zeon pilot, Banagher takes it upon himself to fight for only one reason: to protect the lives of the innocent. 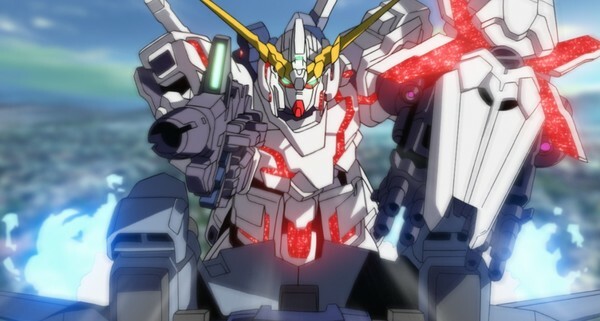 However, in order to do so, he needs to master the control system of the Unicorn Gundam. 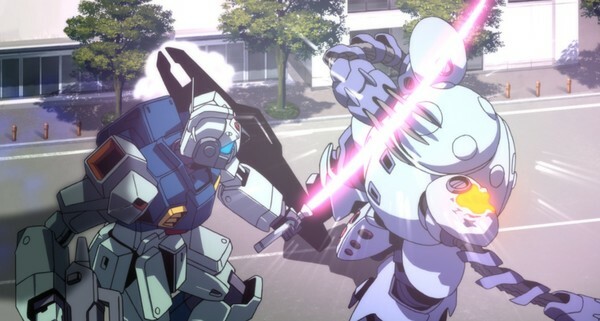 To fight for his ideals, Banagher learns to take control of the Gundam, rather than idly letting the Gundam control him. The volume also takes time to focus on members of the minor cast. One of Banagher’s Federation allies, Riddhe, takes it upon himself to look after the female lead Mineva Zabi in Bangher’s absence, despite her objections to needing protection. Again, with Mineva/Audrey I feel like her presence in the series at large is unnecessary. While she is an important character in terms of continuity, her screen time feels wasted a majority of the time. Part of it is her overbearing “anti-war” stance, and the other her uptight upper class mannerisms. While I was personally disappointed that Marida Cruz got the short end of the stick in screen time, much of her back story was more deeply explained, which strongly links the continuity together, especially between the UC and ZZ series. However, I was definitely pleased to see the series return of Bright Noa, one of the series longest running characters, and CO of various past Gundam protagonists. The story as a whole is well told, but the pacing of the presentation feels inconsistent. Too much of the screen time is devoted to Riddhe and Mineva’s own personal struggles. Banagher doesn’t even show up until partway through the second act. And while the action scenes are well developed, those featuring the actual Gundam of the series are lacklustre and bland. To the uninitiated, the series may also seem confusing as a whole, as even I found it difficult to keep up with who each of the characters are at points, and where the alliances currently sit. If you want to watch this volume, from a plot perspective, it’s strongly advisable that you sit down and watch the first three volumes first. One of the strongest indicators of the evolution of the Gundam franchise is the increasingly detailed visual quality. The character modelling and the environments are reflective of the series origins, while still showing a degree of fresh flair. But the real development comes in the form of the mobile suit modelling and animation. The 4th volume features a few scenes that serve as something of a “gallery” of vintage suits from the 70’s and 80’s series presented with modern animation. Of course, the presentation of the current generation suits and special effects is also pulled off very well. The combat animations are so fluid and well drawn that they exude a strong sense of realism. The audio quality of this volume is also strong. The soundtrack, while not what one would call addictive, is strongly reflective of the philosophical back story that is portrayed in this volume. Volume 4 feels more like a drama for it, as opposed to action oriented. The pacing of the musical scores, as well as the new intro and closing songs are more tame than with the other openings and closings of the series. The voice acting quality has also improved a bit since the original volume 1, but mostly on the parts of the minor and support cast. To me, Banagher’s English transition still makes him seem less appealing as a protagonist, though he does have a few significant “man-it-up” moments this time around. With only a single hour long feature episode to the DVD, one would hope that there would be an abundance of extra features. Thankfully, volume 4 delivers on that. Other extras featured on the DVD include the standard Madman recipe: promotional trailers for other Madman published series, as well as promotional clips and TV commercials released in Japan to advertise the release of this fourth volume. When it comes down to it, Gundam UC is a series best watched not as an ongoing series, but rather as a successive set of OVA releases. To its credit, any viewer can pick up any one of the volumes and still find it enjoyable. 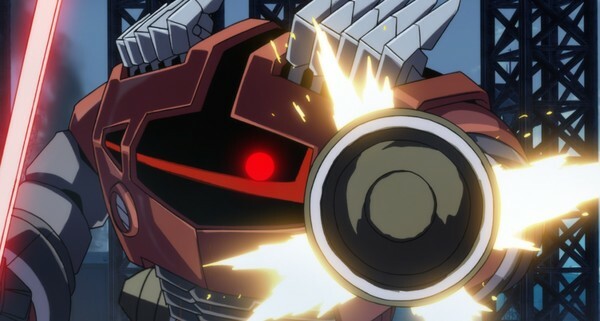 If you’re the kind of viewer that gets joy out of seeing things get blown up frequently, and enjoy thoroughly animated action sequences, then Gundam UC is worth a watch. However, for those looking for a strong ongoing story, my recommendation would be to at least wait until the whole series is completed before you decide to pick up one of these volumes.